At Limited Edition Interiors we specialize in helping our clients select the best possible products at the best possible prices. 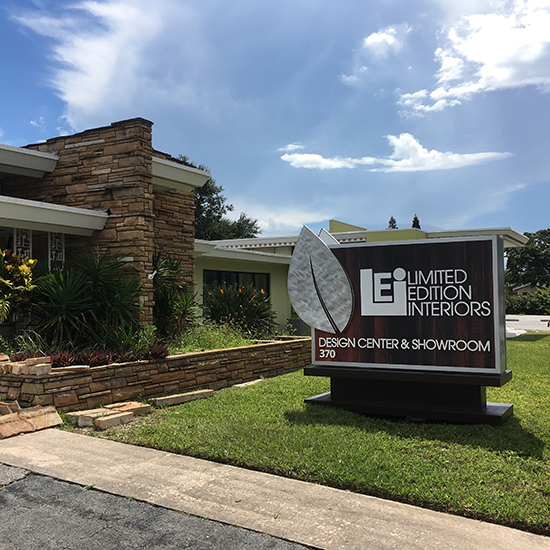 We offer a full range of furniture, lighting, artwork and accessories, as well as window treatments, wall covering and fabrics to the Tampa Bay area. Limited Edition has selected the products we offer for both outstanding design and quality. Our selections include such well known lines as Lexington, Stanley and Hunter Douglas, as well as the ability to choose more hard to find design items from more "exotic" vendors. We love to seek out wonderful items on your behalf. In addition, when your purchase from Limited Edition Interiors, our professional interior design services are available at no extra charge! Call us today for pricing information, to speak to a designer, or for any additional information. Also, feel free to stop by our Largo / Clearwater area location at 370 Clearwater-Largo Rd., Largo FL.